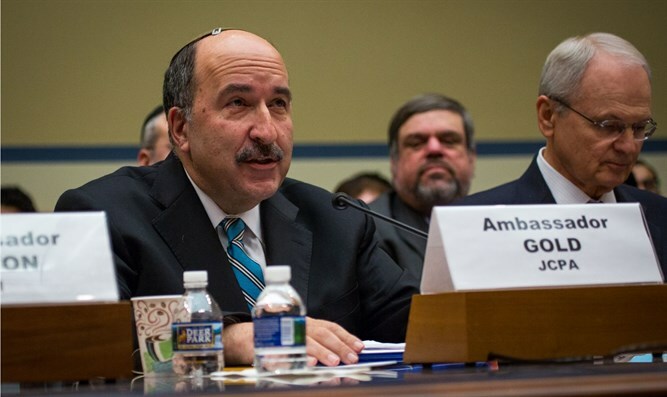 Dr. Dore Gold, former Israeli Ambassador to the UN, tells Congress members that moving the embassy would bring a diplomatic solution closer. "In my opinion, the transfer of the embassy will only bring the possibility of a diplomatic solution closer," Gold stressed. "Jerusalem before was a mess," Gold said, adding that Israel has to protect Jerusalem for "all peoples and all faiths." "Only a free and democratic Israel will protect the holy sites of all the great faiths in Jerusalem," he said. Rep. Ron DeSantis (R-FL), chair of the subcommittee, said U.S.-Israel relations are being harmed by the government's refusal to uphold a 1995 law mandating that the U.S. embassy in Israel be moved from Tel Aviv to Jerusalem. "Jerusalem has been the capital of the Jewish people for thousands of years and is the beating heart of the modern Israel. Why should we reject the chosen capital city of a close ally?" he said. "it is absurd that Israel is the only nation in the world where our embassy is not located in the nation's capital city. This is no way to treat an ally, much less one of our closest allies,” added DeSantis. Most recently, Trump said he wanted to give his efforts to reach peace between Israelis and Palestinian Arabs a chance before moving the embassy from Tel Aviv to Jerusalem.